From dewi lewis publishing: The European Publishers Award for Photography was established in 1994 and celebrates its 19th year in 2012. 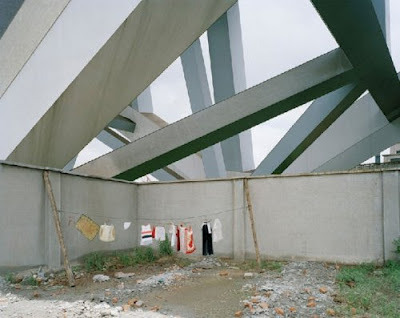 Previous winners have included Bruce Gilden, Simon Norfolk, Jeff Mermelstein, Paolo Pellegrin, Jacob Aue Sobol, Ambroise Tézenas, Klavdij Sluban, Christophe Agou and David Monteleone. 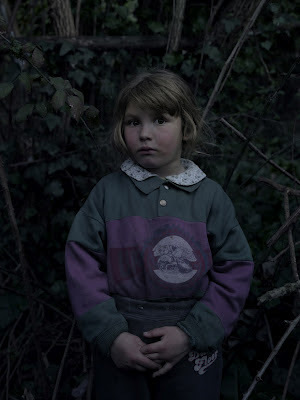 The interview below is from World Press Photo. From Rodney Arts Notes: A group photography exhibition featuring both local and national photographers is taking place in Matakana, at Art Matakana, for Auckland's 2012 Festival of Photography. The exhibition will run from June 2nd to 24th, with the opening taking place on Friday June 1st, at 5:30pm. 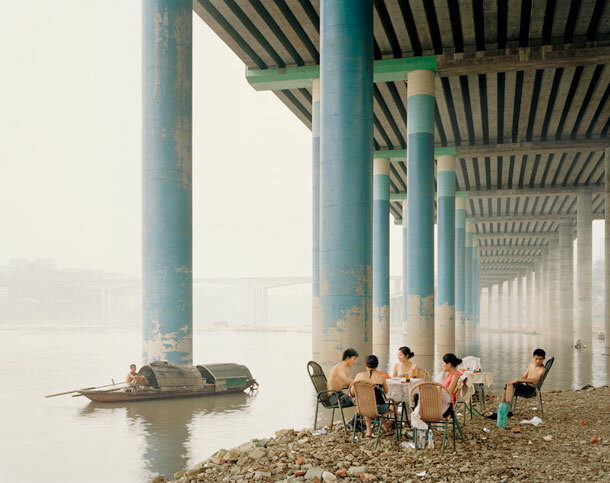 Kander's 2010 book Yangtze, The Long River traces development along China's Yangtze River as a potent case-study of our unprecedented and irreversible transformation of the environment. Yangtze, The Long River is one of the most timely books – photographic or not – in this age of industrial escalation (most notably in Asia). Along with Edward Burtynsky, Kander's work is among the most sobering accounts of humanity's reshaping of the environment and the implications of our addiction to material consumption. Consequently, it will appeal to broad current affairs and environmentally-interested audiences, in addition to the smaller photo-book market. There is a disquieting beauty in these photos, however, shot with the clarity of large-format film. Here is work, not only of a master who knows aesthetics and technique, but which, when coupled with a timely message, creates a photographic masterpiece. This window on a changing world will resonate decades from now, when future generations will look back on our era and soberly reflect upon the ravages of overpopulation and our hunger for material advancement on a finite planet. One aspect of the book which interested me was the accommodations locals have had to make with these new developments, in order to carry on lives as normally as possible, while being overshadowed by huge construction projects (and often being displaced by them). The following slide show, with commentary from the photographer, provides an insightful overview of the project. This is a very personal interview with Don McCullin, probably the world's best-known war photographer since Robert Capa. He delves into the trauma and personal conflict involved in immersing himself in the world's most tragic locations, while making a living from this suffering; of at times being excited by war, at times driven mad by it, but trying above all to retain humane motivations and not shirking opportunities to help people when possible. Of his war photos, he says that he does not want people to resist looking at their horrors: he wants to be the voice of the people he has photographed. Sadly, he has concluded that his war photos have changed nothing; today he takes landscape photos to uplift both himself and the viewer. A new retrospective book of Woodman's work was published in 20111, to accompany an exhibition at SFMOMA. (This is one of a handful of books that has changed the way I think about photography; check out the interview with Corey Keller, the book's editor, at American Photo, which named it one of the four best photo books of the year.) Coupled with this book and exhibition, an internationally touring exhibition has brought about much media comment on her work of late. Tragically, In 1981, after a period of depression, she committed suicide, aged 22. That this influential work was created during her educational years, is astounding. 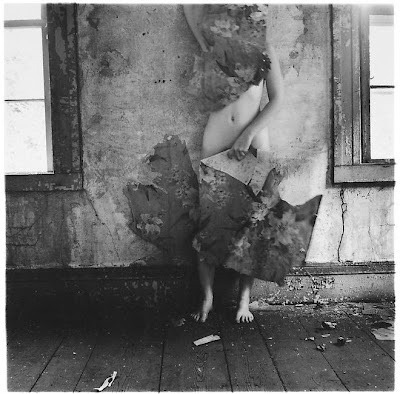 From American Photo: Some three decades after her untimely suicide at the age of 22, Francesca Woodman remains a powerful presence in photography. 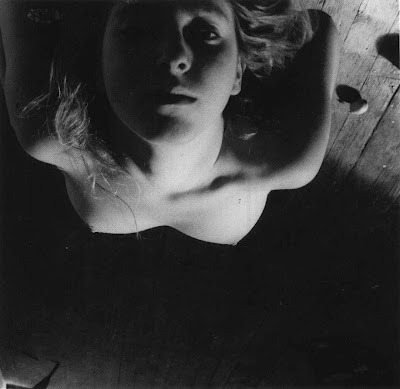 As a young artist exploring themes of the female body and its perceived impermanence, her work immediately became a focus for feminist theorists and art historians around the world. But as is often the case with an artist's work viewed posthumously through the lens of tragedy, that's only a part of the story. This 1990 video with commentary looks at some of Koudelka's contact sheets and discusses his photographic philosophy. I have conducted six month fade tests for three black and white workflows using Epson K3 Ultrachrome inks. Scans of the results,which give a rough idea of how the workflows compared, are below. Please email me with any questions, comments or suggestions.